There are countless stories out there about travelers who book extravagant trips using just their frequent flyer miles and loyalty points - but to many of us, this seems out of reach. With so many different airline programs to choose from, determining the best way to earn points and miles can be intimidating. How many programs should you join? Which ones are the best? How can you maximize those rewards? In this post, I’m going back to the basics to break down what you need to know about airline loyalty programs and tips on how to get started. What exactly is an airline mile? Though it seems like an easy question, the airline mile isn’t as simple as it sounds. Traditionally, airline miles, also referred to as frequent flyer miles, were accumulated based on the amount of miles you flew that you could then use to purchase your next flight. Now, airline miles can be earned a variety of different ways - flying a certain amount of miles, purchasing a plane ticket, shopping with a travel rewards credit card, booking a hotel room, and even purchasing gas and groceries. You can then use these loyalty rewards to buy more flights, travel upgrades, hotel rooms and other goods and services. How can I earn airline miles? There are countless ways to earn airline miles. The most common way to earn is by purchasing a plane ticket. Depending on the program, the number of miles you earn will be determined by how far you fly or how much you spend on that ticket. But purchasing a plane ticket isn’t the only way to earn miles. In many cases, you can earn enough points or miles to pay for a flight without ever stepping foot on a plane. Many programs allow you to earn miles by dining at restaurants, shopping at retailers through earn malls, opening up a new bank account or credit card, or by filling out online surveys. What can I spend my airline miles on? 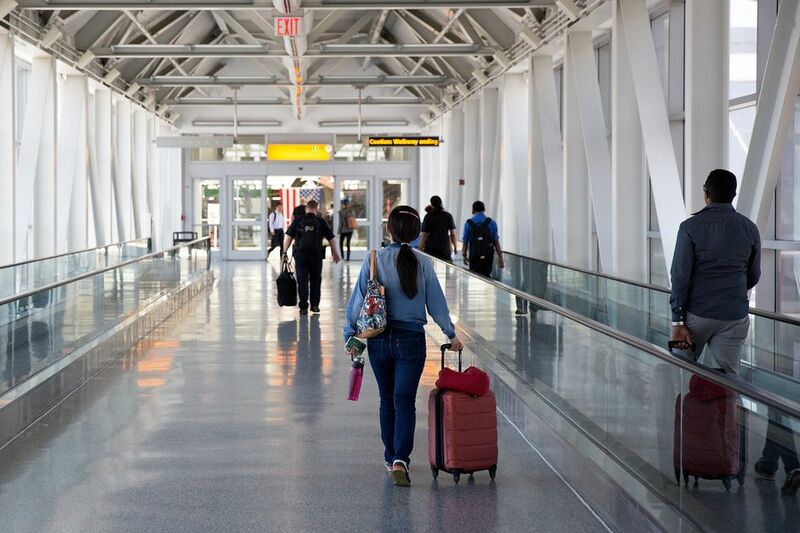 Redeeming your frequent flyer miles is easy, but it takes a little bit of planning ahead. For example, in some cases it might be more worthwhile to spend your miles on a seat upgrade rather than on the ticket itself. Or, you may want to consider saving your miles for a longer-haul flight rather than redeeming for multiple shorter flights. And when it comes to actually purchasing a ticket with your miles, the sooner you book, the better. Beyond booking a flight with your points or miles, most airline loyalty programs offer members a variety of ways to spend. Consider using your rewards to buy a shopping or dining gift card with your favourite retailer or participating in an auction, like IHG Rewards Club Auctions. Avios, the loyalty currency for British Airways Executive Club, Iberia Plus and Meridiana Club, allows members to redeem Avios for hotel stays, car rentals, wine tours and travel experiences. When it comes to your loyalty reward points, the sky is not the limit. One of the top questions travelers have when it comes to airline miles is, how much are they worth? Understanding the valuation of airline miles helps us better determine whether it’s worth it to pay for our next flight or upgrade out of pocket, or cash in our miles. The short answer is, the value of airline miles varies greatly from program to program, is constantly changing, and depends on how you choose to use your miles, as well as any devaluations caused by airline policies or mergers. If you’re looking to cash in your miles for a domestic flight, there’s a simple calculation you can use to determine whether or not it’s worth it. Subtract the total amount you’ll have to spend on your purchased miles from the dollar value of your ticket and divide that by the number of non-purchased rewards you’re redeeming. Also be sure to take into account taxes and fees on the flight, as fees especially can vary significantly from airline to airline. While airline mile values fluctuate depending on how you decide to use them, The Points Guy publishes a handy monthly valuation series. The average mile value for some of the top airlines (as of July 2016) is outlined below. While using frequent flyer programs and tracking your rewards can seem overwhelming at first, the benefits far outweigh the challenges. Sign up, stay organized, earn rewards and you’ll be well on your way to redeeming for your next trip, perk or upgrade.